My tree “Lacy” bent over by the ice. Last month we had a horrible ice storm, we lost power and were literally unable to get out and about for a couple of days (this is very uncommon here in Texas). As I was surveying the damage around my house and trying to break the ice away from the back door, I looked outside and noticed my little tree “Lacey” (see my blog post about Lacey and growing strong). She has had a difficult time this winter. It was only earlier in the fall that I planted her outdoors in my garden – she was trying to grow from a houseplant to a real tree for the first time. 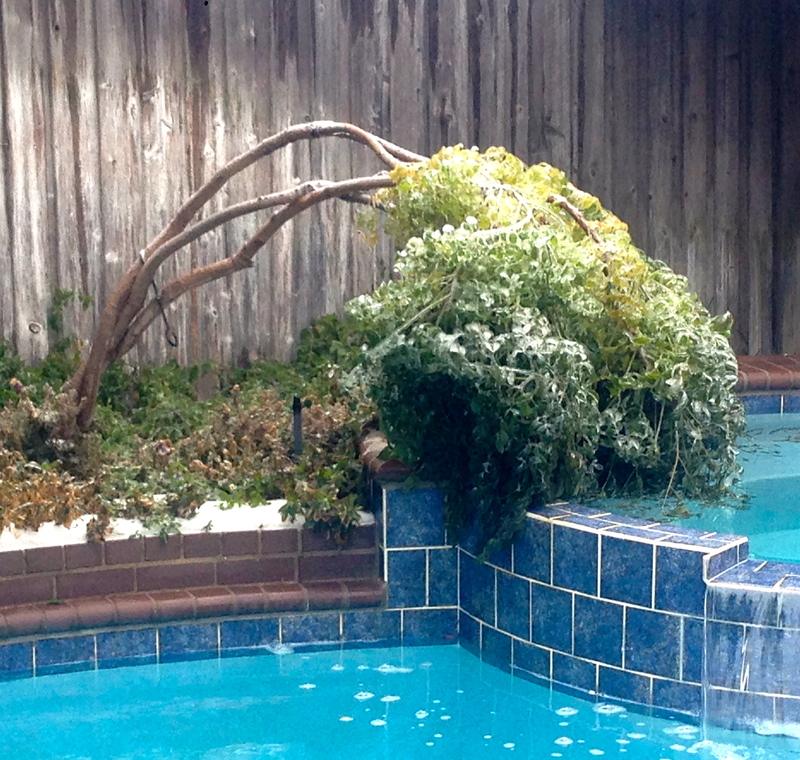 When I looked outside at Lacey, in horror I saw that this little spindly baby-tree was bent all the way over at her slender trunk and submerged in the water of my hot tub! The heavy weight of the ice on her delicate face of leaves had been more than she could handle. The next two mornings when I awoke I would immediately go out to check on the little tree. Each day she seemed to pull herself up a little until finally, on the third morning when the air was warmer and the ice had began to thaw, there she was, standing upright again. 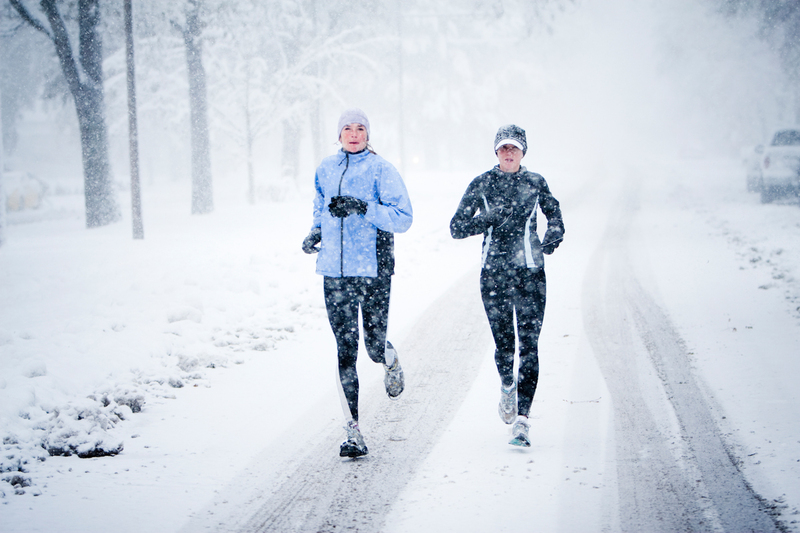 My point is this: life is like running a marathon and we are like a runner who, against all odds and sometimes facing a race that is harder than imagined, finds more strength and stamina than he knew. Just when he thought he couldn’t run another step, he pulls from within himself the will and determination to get across the finish line. Many of us are like Lacey, who struggled against the weightiness of the ice on her leaves that eventually bent her over to a near breaking point. Yet when the ice began to thaw, she stood up again, not broken, not shattered or split, but standing tall. There is so much inside each of us. We have an endless supply of passion, pain, love, hope, ambition, desire – the full range of the human spirit. Even though life sometimes seems disappointing and harder than you ever imagined it to be, remember, like the marathoner, you possess more than you ever thought possible. When you are set on a destination and you engage your strong will, nothing can stop you. So, during this winter, think about the little trees outside and what they go through to stand tall, the seasons of change they endure, yet life always comes back to a healthy tree. Be encouraged today. I am thinking about you and sending much love and many hugs and wishes for your continued growth in this life, and I pray that you are wishing it for me as well, for it is also my goal.